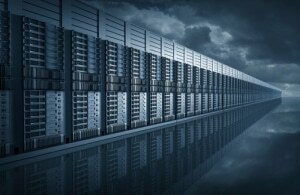 The health of your business is closely linked to the health of your server. The server responds to requests from your company’s desktop and mobile devices, allowing your employees to share data and applications (including email, file exchange and printing). So the server must be reliable and durable; fault tolerant; and right-sized for the functions you need. If your server runs into problems, then your company suffers because data and applications are delayed, unreliable or totally inaccessible. Communications fail. Work stops. EverSafe monitors your server 24/7/365 to maintain its health and repair problems before they affect your business. We begin with remote server monitoring and repair, which is immediate and basically invisible to your users; we escalate to onsite service when needed. Our monthly fee is customized to the services you need and ensures that your IT budget is predictable month after month. Your servers are monitored, backed up, updated and managed through a secure connection. You receive monthly reports on the server’s event log and utilization. Server analysis and performance reports provide information on trouble tickets, memory efficiency, table growth and many other parameters that are essential for maintaining your server’s availability, efficiency, reliability and security. Monitoring for issues with the domain name system (DNS), dynamic host configuring protocol (DHCP), transport stream (TS), etc.